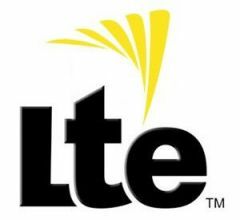 In the latest news from Sprint, they have added another nine additional communities that they anticipate having at least a prelaunch amount of service available to use by its LTE customers in the next few months. Based on a source, these are expected to have usable service by the end of January, barring any unforseen conditions. What's exciting in this list, is it includes not only areas where Sprint is already working (like Oakland/East Bay, Michigan City/LaPorte, Bloomington and Key West), but it also includes some starts in new markets like Minnesota, Oklahoma, Arkansas and South Texas. We have already had S4GRU members seeing activity in the Minnesota market recently. S4GRU has announcedg that work would begin in the Oklahoma market this Winter several months ago. However, the work in Arkansas and South Texas markets represent a move up in the schedule. This is welcome news. OVERLAND PARK, Kan. (BUSINESS WIRE), November 13, 2012 - Continuing its aggressive push to deliver an enhanced top-tier network experience for customers, Sprint (NYSE:S) announced today that its 4G LTE network build is progressing in nine additional cities within its nationwide 3G footprint. - Michigan City/La Porte, Ind. Sprint has announced more than 125 cities where Sprint 4G LTE is on its way, including Boston; Charlotte, N.C.; Indianapolis; Los Angeles; Memphis, Tenn.; Miami; Nashville, Tenn.; New Orleans; New York; Philadelphia; and Washington, D.C. To find out more about which markets currently have Sprint 4G LTE and which markets are coming next, please visit www.sprint.com/4GLTE. Sprint introduced its all-new 4G LTE network in July 2012 and currently offers service in 32 cities1. As part of its overall network strategy, Sprint is also doing a complete overhaul of its 3G infrastructure so that customers can enjoy better wireless signal strength, in-building coverage, and fewer dropped/blocked calls. These enhancements are now available to customers in several markets across the country, with significant deployment in Baltimore, Boston, Chicago, Los Angeles, New York and Washington, D.C., and will continue to improve in the weeks and months ahead. With these enhancements to Sprint’s 3G network, the company’s prepaid customers, on Virgin Mobile and Boost Mobile, will also benefit and can expect to see better coverage, improved network reliability and voice quality resulting in up to 20 to 30 percent fewer dropped and blocked calls. In today’s competitive wireless market, the value of unlimited has never been more apparent and Sprint is clearly a leading choice in wireless. Customers with capable devices can combine Sprint’s all-new 3G and 4G LTE networks and enjoy unlimited data while on the Sprint network. Data usage continues to increase and consumers value Truly Unlimited data because it’s simple and straightforward – while on the Sprint network there is no metering, no throttling, and no need to share data, which increases the likelihood of a surprise monthly bill because of overage charges. Previous entry (UPDATED) Sprint-USCC spectrum deal: Sprint gets 20 MHz broader in the "City of Broad Shoulders"
Love it! Looks like I drove through Eau Claire a month too early! Between this and the Nexus my productivity just went to hell today! Sprint is waiting for Michigan to take off the child's mitten and put on an adult's glove. I'm pretty sure Michigan will be in the next announcement. Work started in Minnesota before the announcement today. I'm feeling good you guys in the Wolverine State will start seeing activity in the next 30 days. Finally 4g in the Rio Grande Valley. I have been waiting a long time to see it come to the valley. I can't wait!!! I live in St Paul and work in Minneapolis so I am excited to see if I get any 4G on my way to work in the next few weeks. Ahh. At least part of WI is getting some LTE. Now, I can't wait until the Milwaukee market sees some upgrades!! Robert, maybe I missed this but do you know why they are completing Ardmore, OK but not any of the bigger cities here in OK? These speed tests were all in the Downriver area (Melvindale, Dearborn Allen Park) Two of the above were in the Warren, Michigan area. And for those that care, I got the LG Optimus G the phone is AWESOME! Son of a...Not only do we have awful weather these days, Cincinnati can't get invited to the cool kids' party. Is there a 5th or 6th round we can hope for here? Any word on when NYC will get LTE? 3G speeds here are ridiculously slow, and the unlimited plan is worthless when your data peaks at .1 mb/sec. I thought S4GRU predicted a "November 2012" roll-out in NYC. It's November. Any updates? Or is the CNET article indicating a March 2013 roll out more accurate? They will be starting in locations all over the Oklahoma market. Once they start a market, they will not leave until the whole market is done. However, Ardmore will be the first one that will have a launchable amount of service. Stay tuned to S4GRU to hear about other work in the Oklahoma market. The Cincinnati market should start work in Q1-2013. Stay tuned. Any word on when NYC will get LTE? 3G speeds here are ridiculously slow, and the unlimited plan is worthless when your data peaks at .1 mb/sec.I thought S4GRU predicted a "November 2012" roll-out in NYC. It's November. Any updates? Or is the CNET article indicating a March 2013 roll out more accurate? Deployment will continue, with more sites going week after week. Launch is not likely to happen in November since the Hurricane. But it still may happen in December. Launch will probably occur with 60% - 70% coverage. But work will still continue even after the launch until every site is converted. where the hell is Seattle? Why are they adding all of these smaller cities? can we please get an update on Seattle? Thanks. Still trying to figure out where they started in Baton Rouge...we were on the list at one time and but nothing started. Head scratcher... don't get excited that your city is on the list, get excited when you see someone actually working in your area. Does that mean that there are upgraded towers all over new york city but users aren't allowed to connect to them? If so that is definitely great news because all they need to do is flip the switch. For some reason I felt like only the ones that appear on your Sites Complete maps are the ones that are done. And everything else is still under construction. Can't wait to see some sites closer to my neck of the woods show up as NV complete! They've already brought the 3G network back up to snuff. It will be cool to make the next jump to LTE. I went back to sprint on Monday after two years with Tmo. I forgot how BRUTAL there network speeds were. I did some speed test this morning.02Mbps down .29up 278ms Ehrpd Detroit Mi 42.49277Lat -83.0442Long .07Mbps Down .43up 581ms Same town as above.50Mbsdown .84up ehrpd Lat42.49957 -83.03592Long.12down .91up Same lat and long as abovebest one was 1.08Mbps Down .72up Lat42.29518 -83.18289These speed tests were all in the Downriver area (Melvindale, Dearborn Allen Park) Two of the above were in the Warren, Michigan area.ABSOLUTELY BRUTALLY SLOW! 1 meg down is more than serviceable for 3G, once NV comes though, all towers will have sufficient backhaul to support much better 3G data speeds, along with over 30 megs down for LTE in ideal conditions. Thanks robert. Hopefully they move up in the OKC area soon!